Nobody really likes being stuck by a needle. So why are more and more people rolling up their sleeves to get high doses of detox infusions pumped into their arm? 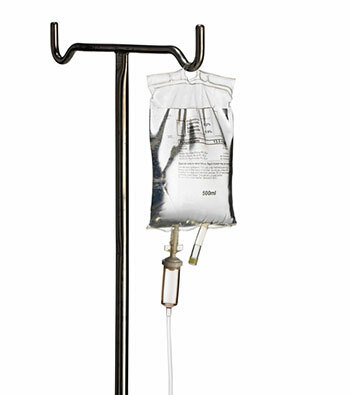 Do intravenous detoxes actually work? Trending amongst celebrities such as Rihanna, Simon Cowell, Madonna, and Cindy Crawford, the somewhat controversial IV detox has become very popular lately and is becoming more and more accessible. (1) It’s not just a fad in Hollywood. Companies are setting up all over the United States. Some folks are even doing it at home on their own. But is it worth it? The costs alone can be staggering. Ranging from $60 to well over $4,000, contingent upon which IV detox you need. There haven’t been many controlled studies, but people swear by it. (2) They claim they notice an immediate effect after receiving an IV detox. Especially those who are trying to detox after a night of heavy drinking. It generally takes about 30 minutes and is relatively painless. For the detox infusion, vitamins are added to a basic saline solution containing some salt and electrolytes. These salts and electrolytes are compatible with the blood and they aid in the absorption of the vitamins directly into your cells. 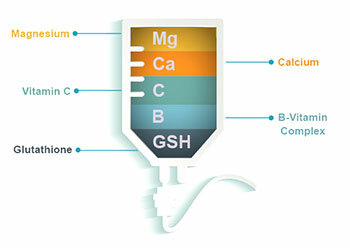 It works because the IV laced with vitamins bypasses your gastrointestinal system. For example, a high dose of vitamin C is immediately available for cellular use when you infuse it directly into the veins whereas if you took the same high dose orally, your G.I. system would be extremely upset and there would be a delay between consumption and absorption. Naturally, a diet that is composed of mostly whole goods is already rich in vital nutrients such as vitamins and minerals which serve to nourish cells for optimal body function. However, there are times when your body is having trouble obtaining the required vitamins and minerals through digestion. Situations that involve a medical illness, stress, or food intolerances can prevent the absorption of nutrients such as folic acid, B vitamins, selenium, magnesium, calcium and zinc. Vitamins and minerals are catalysts. These catalysts become consumed when we are stressed, ill or exposed to toxins in the environment. So vitamins are constantly being depleted. In most cases, your body converts all types of toxic substances into something less toxic. These substances are then eliminated from your system via urination. Unfortunately, there are some substances such as alcohol, medication, pesticides, and heavy metals, where a little help is needed. This is when your liver jumps in. Your liver is responsible for transforming these foreign substances so that they can be excreted from your body. When too many of these toxins bombard your liver at one time, it stores them for later excretion. However, there are times when we are bombarded by toxic substances constantly and the liver never gets a chance to do its job. So these toxins remain in your body, thus causing possible long-term health issues. People who are fatigued, stressed, drink large amounts of alcohol, smoke or suffer from fatty liver are particularly prone. Your liver becomes overworked. Making sure that your liver is functioning properly is critical to your overall well-being. In cases such as those situations noted above, injecting nutrients into the blood system may be the best option to ensure quick and efficient assimilation into the body. 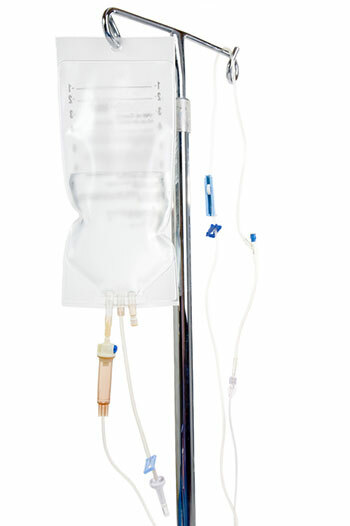 There are several IV detox therapies designed to promote overall health or treat a specific condition. Thought to be the pioneer of IV therapy, the Myer’s Cocktail was invented by Dr. John Myers of John Hopkins University in the 1970’s. (3) The Myer’s cocktail contains Vitamin C, magnesium, minerals and B vitamins. It is used to fight various infections, muscle spasms, depression, fibromyalgia, and chronic fatigue. (4) The costs typically range from $60-$75. It is a temporary fix and does not last indefinitely. Patients benefit from getting weekly, bi-weekly or monthly injections. Glutathione is produced naturally by the liver and is also found in some vegetables, fruits, and meats. It is designed to cleanse the body and enhance skin tone. (5) It improves the functions of the liver and the brain, for improved memory and reducing the risk of dementia, liver disease, and neuropathy. The costs are typically around $200-$350 however, depending on where you get the treatment, the cost can run as high as $2,000-$4,000. Treatments are usually done in a 4-12 week period with visits every 2 weeks. Because alcohol induces dehydration, aggressive rehydration is important. By adding in other nutrients such as B9, B2, B1, B12, zinc and magnesium, the symptoms of acute alcohol withdrawal are reduced significantly. (6) It is designed to rehydrate, cure your nausea and cleanse your liver. In some cases, you can have milk thistle added in. The costs can range anywhere from $89.95 to $200. Treatments are usually done as needed. Vitamin C aids in collagen production, has potent anti-oxidants, and boosts the immune system. It is also used to fight chronic fatigue. (7) When given intravenously, a much higher dose can be obtained as opposed to oral supplements. Costs are typically between $150 and $250 per treatment and treatments are usually done as needed. This treatment is used to remove heavy metals and/or minerals from the body by injecting a synthetic solution EDTA (ethylenediaminetetraacetic acid) into the bloodstream. It basically grabs the heavy metals or minerals such as lead, copper, iron, mercury, arsenic, aluminum and calcium and removes them from the blood. (8) The costs are generally between $2000 and $4000. It is also done on as needed and should be done under medical supervision. Should You Do An IV Detox Therapy? Now, forty years after John Myers began injecting vitamins and minerals into patients via intravenous, IV detoxes are all the rage. Endorsed by celebrities and hailed to be the cure-all, IV detoxing relieves stress, depression, anxiety, dehydration and weakened immune systems. 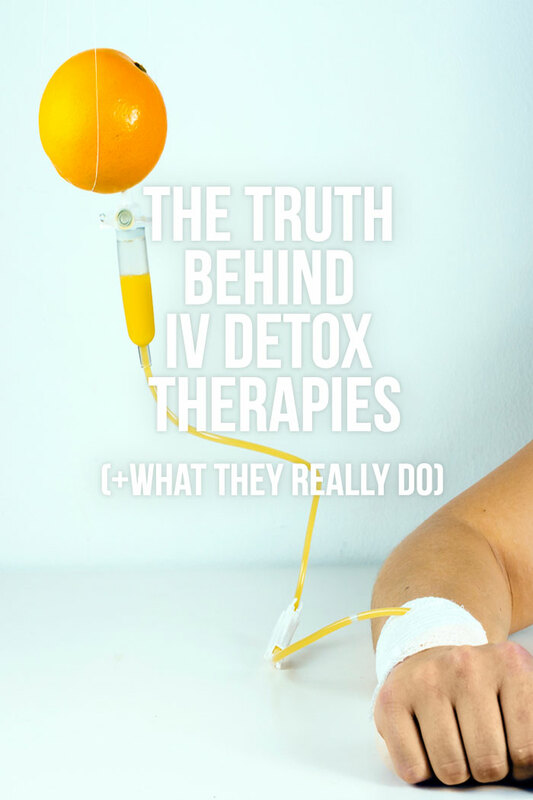 Whether IV detoxes truly work or not is slightly controversial. When you inject the vitamins, it’s immediately absorbed into the bloodstream allowing your body to utilize a very high concentration by bypassing the whole GI tract. At least that is the theory. But our bodies were designed to absorb nutrients slowly and carefully through the GI tract. 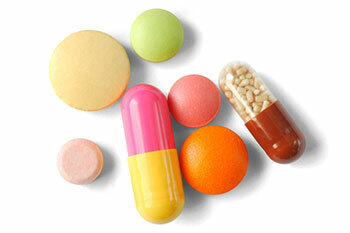 The doses of vitamins and minerals injected are hundreds of times higher than we would usually take in. Some argue that there hasn’t been enough research. (9) We don’t know what the right amount is. We do know that some antioxidants can have pro-oxidant effects if induced in large amounts and we haven’t been studying this long enough to know what the effects are. Also, there is always a risk when you get stuck by a needle. A risk of infection, bruising, bleeding, and blood clotting. These are risks worth taking if you are sure of the benefit. What are the Most Natural Detox Methods? Solid vs. Liquified Fruits and Vegetables: Which is More Beneficial? « Detox Water for Weight Loss: Fact or Fiction?